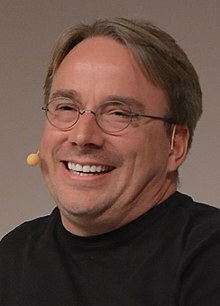 In June 2012 Torvalds made it very clear that he did not agree with NVIDIA releasing its drivers as closed source drivers by showing the middle finger gesture. 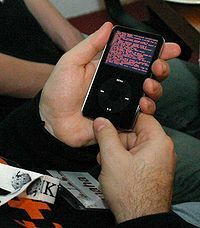 Prominent Linux kernel developers have been aware of the importance of avoiding conflicts between developers. 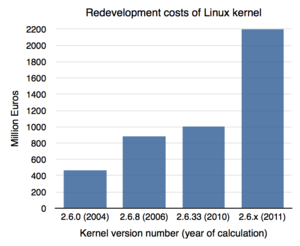 For a long time there has been no code of conduct for kernel developers due to opposition by Linus Torvalds. 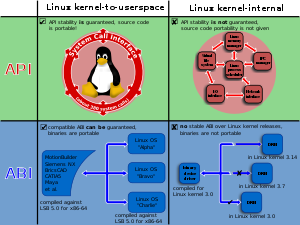 However, a Linux Kernel Code of Conflict was introduced on 8 March 2015. It was replaced on 16 September 2018 by a new Code of Conduct based on the Contributor Covenant. This coincided with a public apology by Linus and a brief break from kernel development.. Later the word that potentially can be offensive have been automatically replaced with less offensive one. . Older version, yet still supported: 4.9 11 December 2016 4.9.170 Greg Kroah-Hartman 17th LTS release, maintained from December 2016 to January 2023. Used in Debian 9 "Stretch". Older version, yet still supported: 4.19 22 October 2018 4.19.36 Greg Kroah-Hartman 19th LTS release, maintained from October 2018 to December 2020. Used in Debian 10 "Buster". 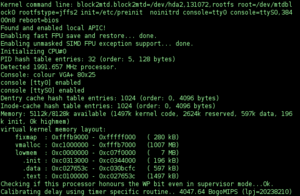 Second SLTS release with support for ARM64 platform. ^ a b Kroah-Hartman, Greg (20 April 2019). 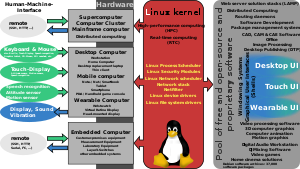 "Linux 5.0.9". LKML (Mailing list). Retrieved 21 April 2019. 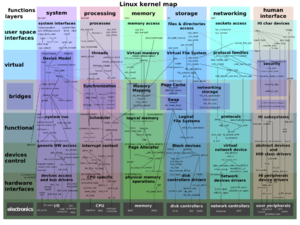 ^ a b c Torvalds, Linus (21 April 2019). 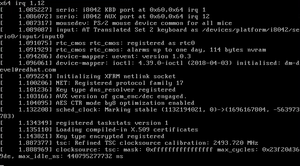 "Linux 5.1-rc6". LKML (Mailing list). Retrieved 21 April 2019. ^ Kroah-Hartman, Greg (20 April 2019). "Linux 4.9.170". LKML (Mailing list). Retrieved 21 April 2019. ^ Kroah-Hartman, Greg (20 April 2019). "Linux 4.14.113". LKML (Mailing list). Retrieved 21 April 2019. ^ Kroah-Hartman, Greg (20 April 2019). "Linux 4.19.36". LKML (Mailing list). Retrieved 21 April 2019.